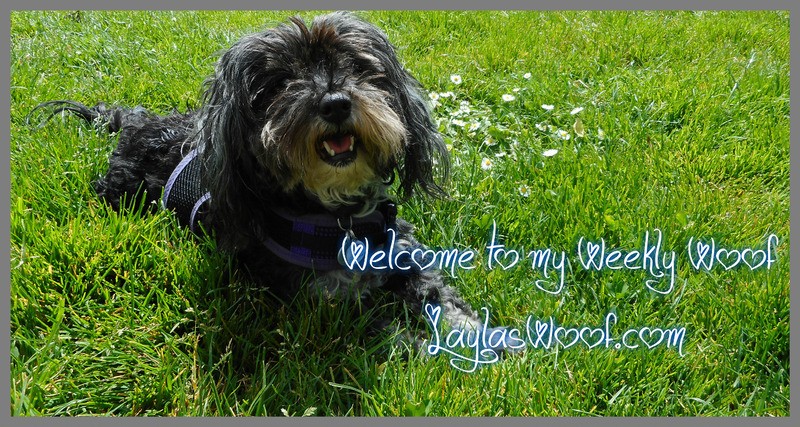 This entry was posted in Rescued Dog and tagged #blog. 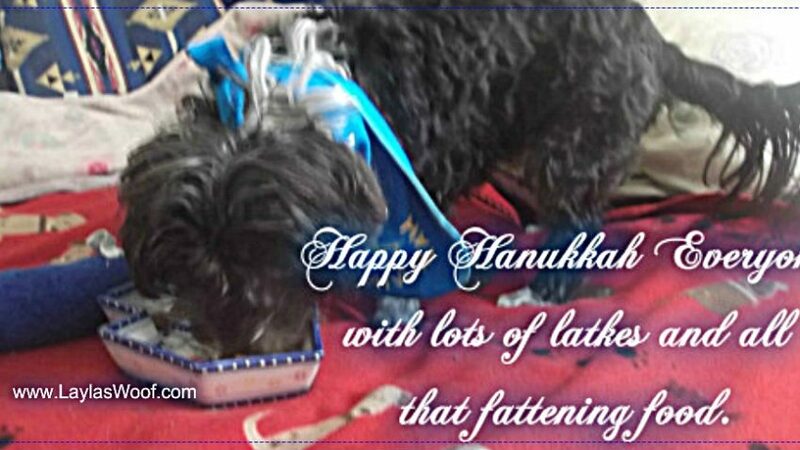 #dogblog, #dog, #dogtreats, #hanukkah, #latkes by admin. Bookmark the permalink. Yummy sounding treats! I hope you have a joyous Hanukkah sweet friend. Thanks for joining the Thankful Thursday Blog Hop! Those treats all do sound very scrumptious, and Mrs H says the doughnuts with jam sound like a delightful treat. Mrs H says over here we can get dried and flaked onions, so she uses those instead of chopping– though has to admit the onion soup mix is a great alternative and one she had never thought about! Happy Hanakkah! 🙂 I hope you have an awesome holiday. It’s so crazy to me that the holiday season is here already. What a fast year! These sound like yummy treats. Making pet treats is such a great way to ensure quality ingredients and I’m sure they know they are made with love. I love your new blog design! Our mom LOVES latkes! She’s hoping her co-worker makes matzoh ball soup because she always gives her some. Happy Hannukah! 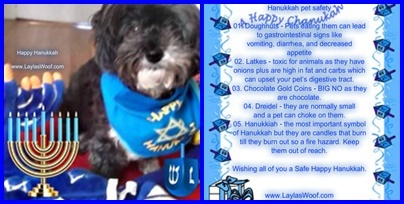 These doggie latkes sound so good great idea to include this for Hanukkah and nutritious too. I will make this for my Bella at home. She loves sweet potatoes. Purebites sounds a familiar name to me, have you mentioned them before? If Layla loves them they must be good – right? It happens and always good to see you. They are a great product and yes I have mentioned them in the past. Happy Hanukkah to you and yours Layla. I hope you both have a very Happy Hanukkah! I really like that you shared both recipes. Thank you and I love sharing so that others can make them also. Happy Hanukkah ! Happy Hanukkah Layla! I hope you enjoy the freeze dried “crack” LOL! This season is all about holidays, a time to celebrate family, friends, and hopefully good health! Holidays are awesome as long as they don’t generate too much stress. It’s good to take it easy and enjoy each other. My pleasure and enjoy !!!!!!!! Happy Hanukkah! Your recipes sound delicious…I do love latkes! And so great you have a recipe for our pups, too! My Huskies love sweet potatoes! (So does their mom)! We are such foodies…just love holiday treats! LOL I am a foodie too and am so happy I shared the recipes so others can make them also, Enjoy !!!!!!!!!!!!!! Those doggy latkes are such a fun idea, I love that they’re baked, not fried, and made with sweet potato. I would eat them! We hope you had a joyous Hanukkah. We’ve had Pure Bites treats and they are really good.